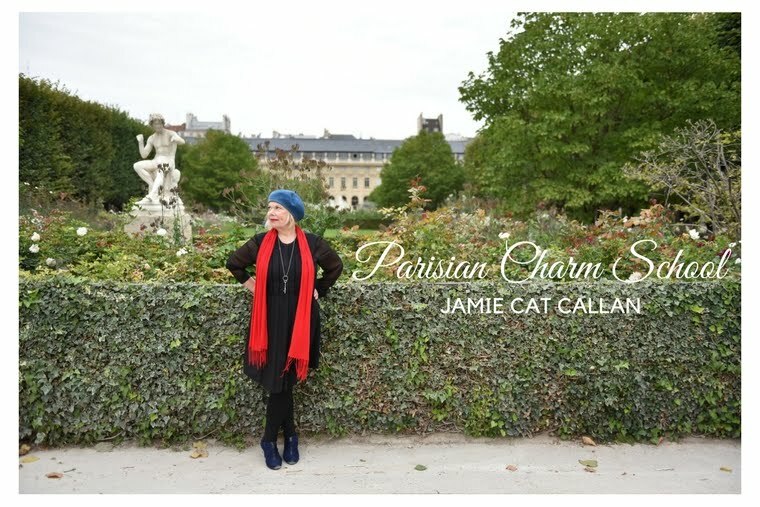 Jamie Cat Callan: Bonjour, Art Nouveau Dinner! Francouzka Restaurant is one of Prague's most famous restaurants. 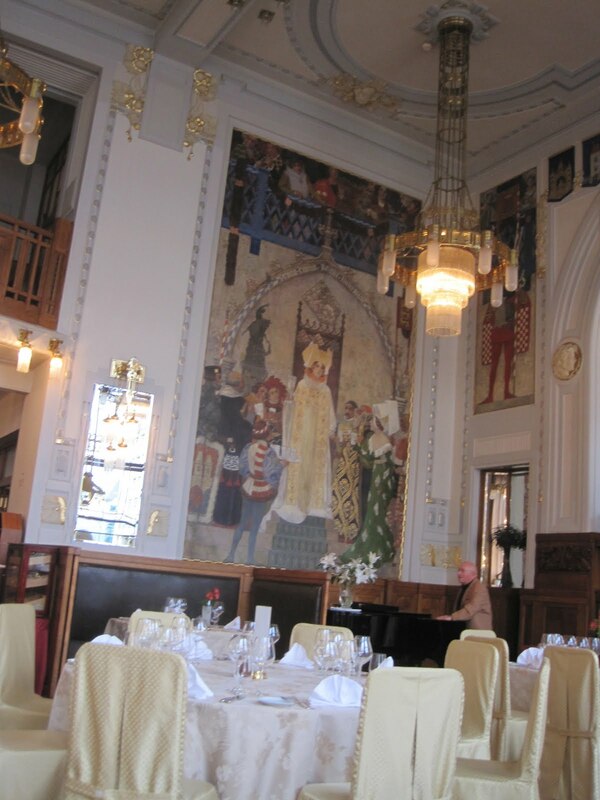 It was designed by the Czech artist, Alphonse Muca--all in art nouveau style. It had its grand opening on New Year's Eve 1911, the year the famous Municipal House was opened where it resides today in all it's original splendor. Very beautiful. And very elegant. And it's French! In 1918 the independent Czechoslovak Republic was declared. Francouzka Restauran'ts list of patrons includes Czech presidents, the Dalai Lama, Bill Clinton, Tony Blair, President Barack Obama and now a certain scientist who likes to be mysterious and moi. We started with a little amusee bouche of creme fraiche and salmon caviar. Then we enjoyed a plate of sliced fig with melted goat cheese, argula salad and beets. At least I think they were beets. By then the wine was flowing, so I'm not sure. They had wine pairings for each course. I can't tell you names, but I do know they were all French and I do remember the Sauternes with dessert, but I'm getting ahead of myself! Next came the main course--Lobster in pea risotto. More Italian than French, but am I complaining?! And then the dessert! (Oh, and more wine!) My husband had the cheese plate. I'm a gal with a bit of a sweet tooth, so I went with the apricot creme brulee. It came to the table flaming and was quite spectacular! So delicious! In fact, soon it was all gone! And au revoir, beautiful Art Nouveau! Isn't it WONDERFUL??? We ate there about 2 months ago, and it was DIVINE...and the decor an inspiration!!!!!!!!!! ENJOY PRAGUE!!! !